In a hole in the ground there lived a hobbit. Not a nasty, dirty, wet hole, filled with the ends of worms and an oozy smell, nor yet a dry, bare, sandy hole with nothing in it to sit down on or to eat: it was a hobbit-hole, and that means comfort. Written for J.R.R. Tolkien's own children, The Hobbit met with instant critical acclaim when it was first published in 1937. 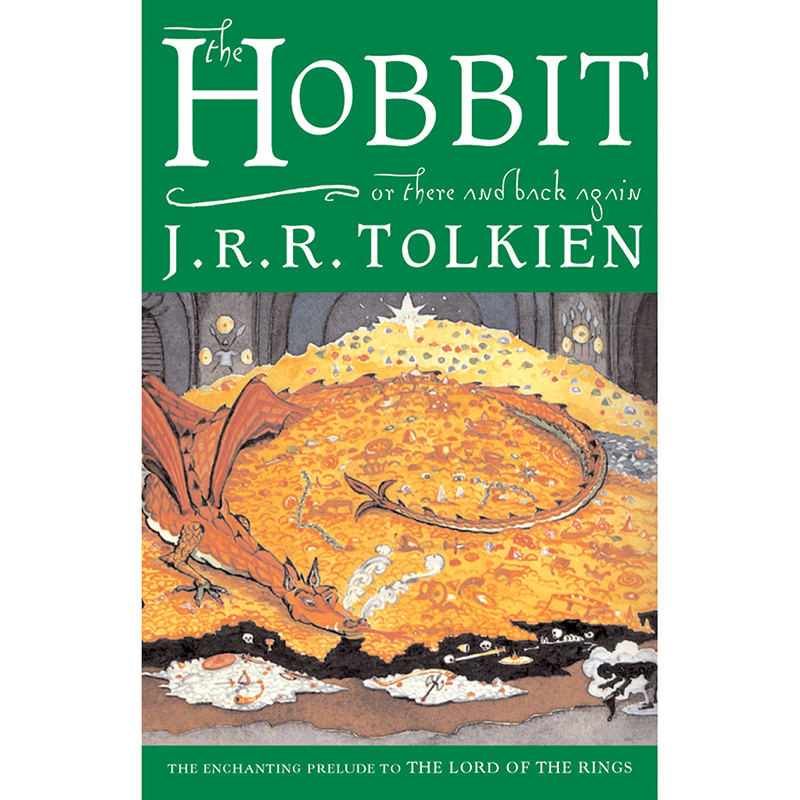 Now recognized as a timeless classic, this introduction to the hobbit Bilbo Baggins, the wizard Gandalf, Gollum, and the spectacular world of Middle-earth recounts of the adventures of a reluctant hero, a powerful and dangerous ring, and the cruel dragon Smaug the Magnificent. The text in this 372-page paperback edition is based on that first published in Great Britain by Collins Modern Classics (1998), and includes a note on the text by Douglas A. Anderson (2001). Unforgettable!